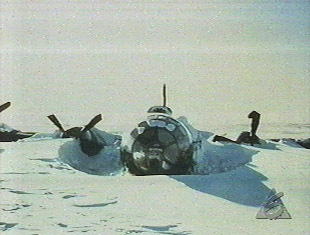 The Kee Bird, a photo reconnaissance B-29, crash landed on a frozen, shallow lake in February, 1947 in Northwest Greenland. 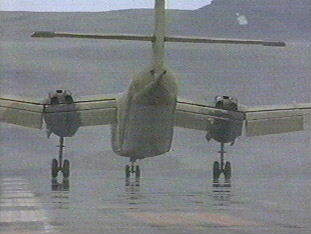 All of the crew were rescued. 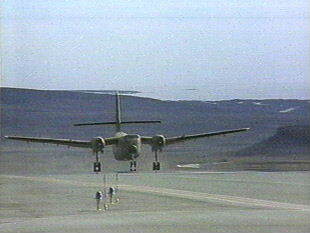 The recess of the Kee Bird was featured in the 1995 PBS Nova TV special, "B-29 Frozen in Time". history, probably worth a great deal of money. 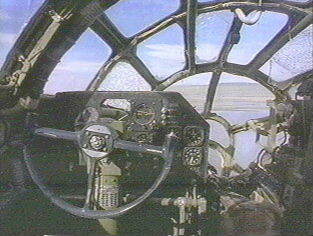 Darryl Greenamyer, a former test pilot, has been working on a bold plan to rescue the B-29 and fly it back home. Darryl has flown higher and faster than most other living pilots. 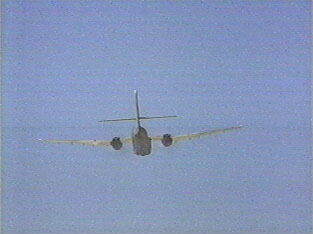 He had once been a test pilot on the U-2 spy plane and its replacement, the SR-71 Blackbird. In the seventies, he built his own Starfighter jet from spare parts to gain a low altitude speed record, which he still holds. 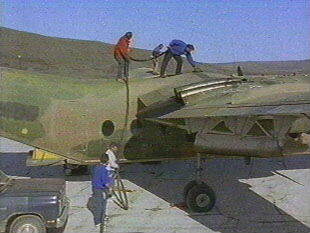 An accomplished pilot and engineer used to taking risks, if anyone could pull this off, it was Darryl. 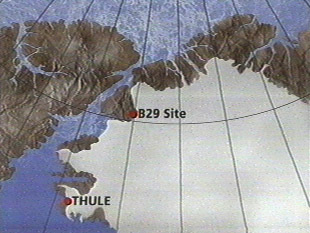 The crash site is about 250 nautical miles north of Thule Air Base. 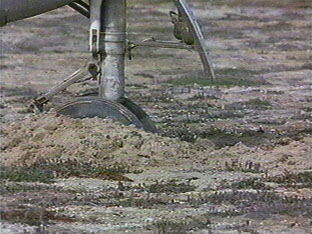 How the Kee Bird looked after all the snow had melted. 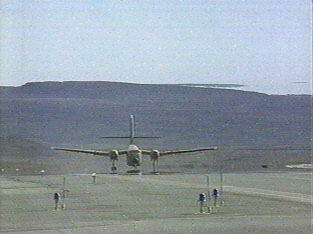 N124DG (c/n #120) arrives at Thule Air Force Base. 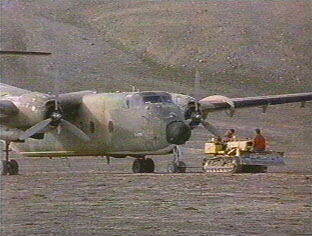 The bulk of the heavy supplies and machinery that would need has to be carried to Thule on the annual supply ship. 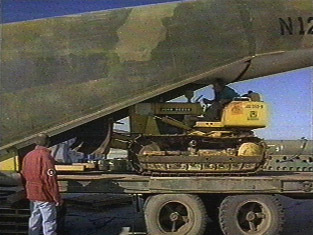 A five ton bulldozer will be needed to build a runway for the B-29. 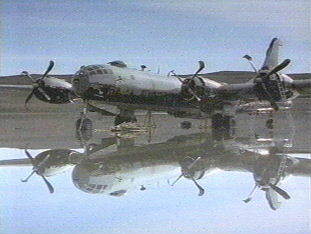 Bulky new tires and propellers are also required, along with four massive, reconditioned radial engines. All these items will be carried by N124DG. 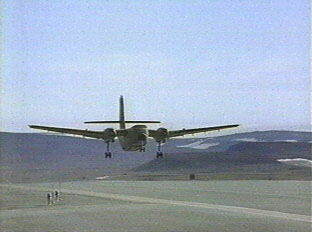 N124DG departs Thule Air Base for the 250 mile flight to the B-29 site. 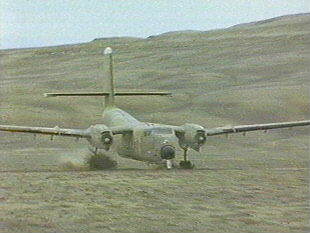 Darryl was taxiing N124DG around and he got into some soft earth and the nose wheel just went ninety degrees to the side. 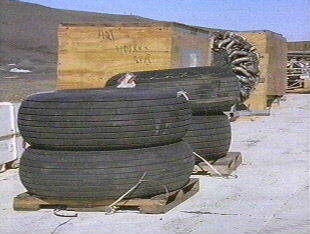 Both tires rolled off the rim and lost all their air. 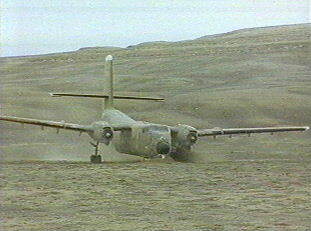 It takes hours to dig the wheels out of the sticky mud. 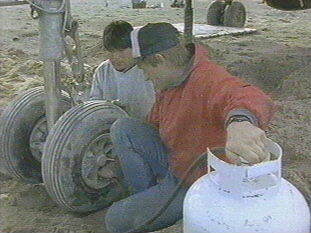 An idea to use propane gas from the camp stove allows the Caribou to return to Thule, even though the wheels could explode if they get too hot. 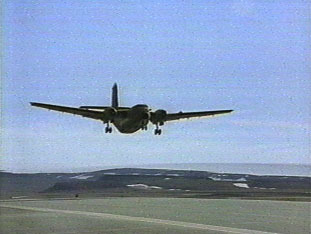 The plane takes off, once at Thule, they refill the tires. 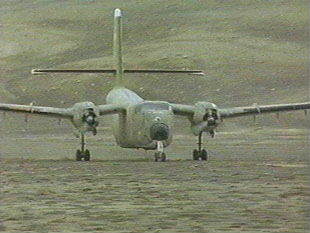 N124DG is inbound to the Kee Bird site with the 5 ton bulldozer aboard. 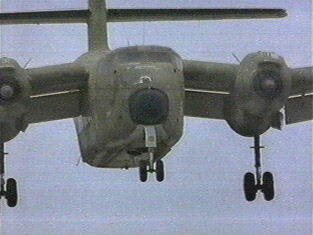 As the dangerously overloaded Caribou comes in to land, something has gone seriously wrong, the flaps had failed. 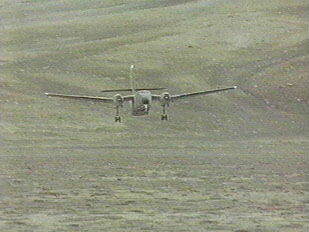 As the Caribou lands it plows into the soft earth. 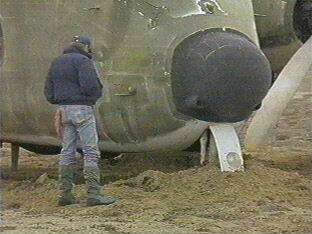 Another inch, and the propellers would have smashed into the ground.